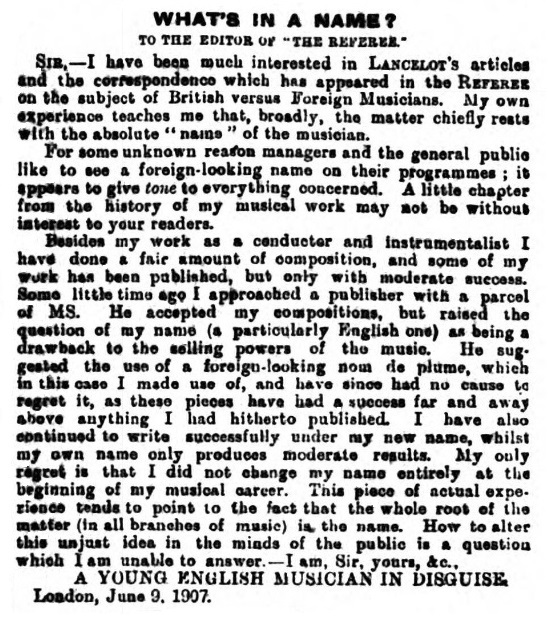 Pseudonyms were used for a variety of reasons, such as to separately identify music written in a different style or to separate a composing career from another profession. 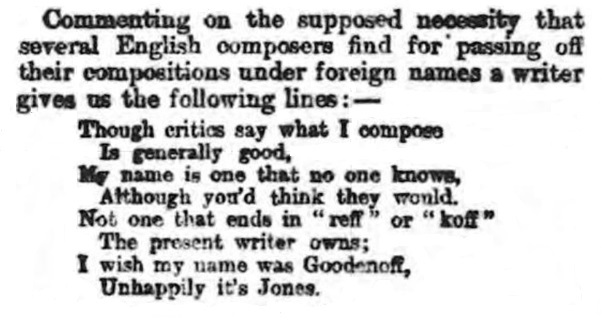 Rev G F Naylor, a curate, had written “Give me Kent and you can keep Kentucky” as an antidote to songs extolling the virtues of other countries, but the name of his organist friend was not revealed. The following list is therefore far from comprehensive and it is difficult to ensure its accuracy.